The Colors by Llarowe Winter 2017 has just launched and if you haven't grabbed yours yet, let me tell you that they are ah.ma.zing! 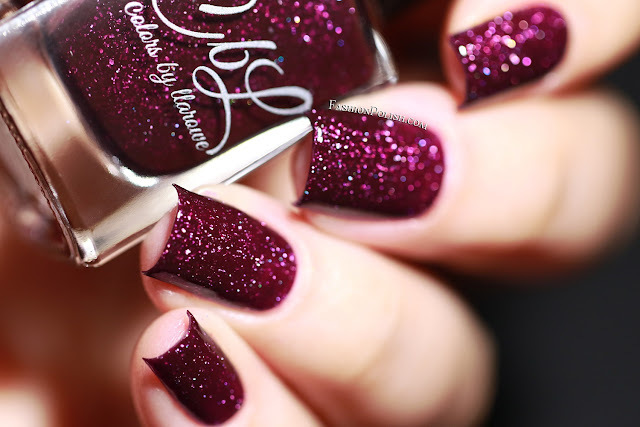 Figgy Pudding is a deep plum grape with scattered holo flecks. It has a lot of depth and looks deliciously vampy and juicy! I used 2 easy coats plus topcoat. 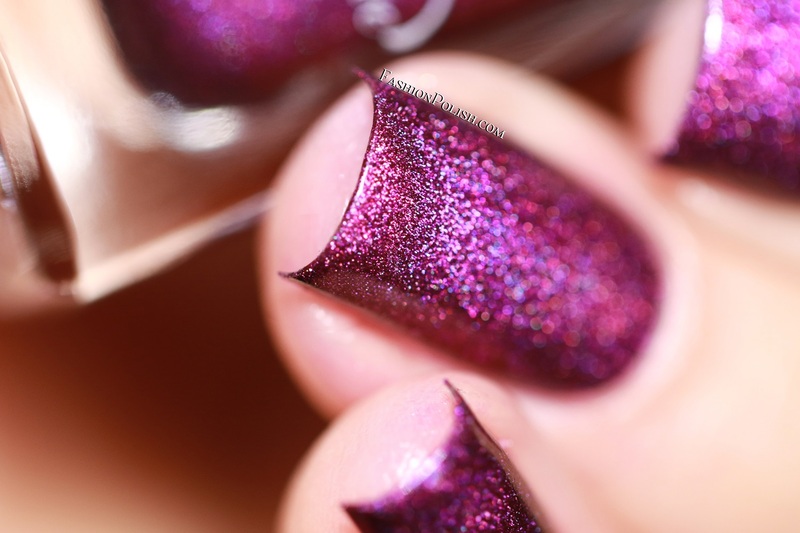 Plum Ready For Summer is a beautiful orchid linear holo. 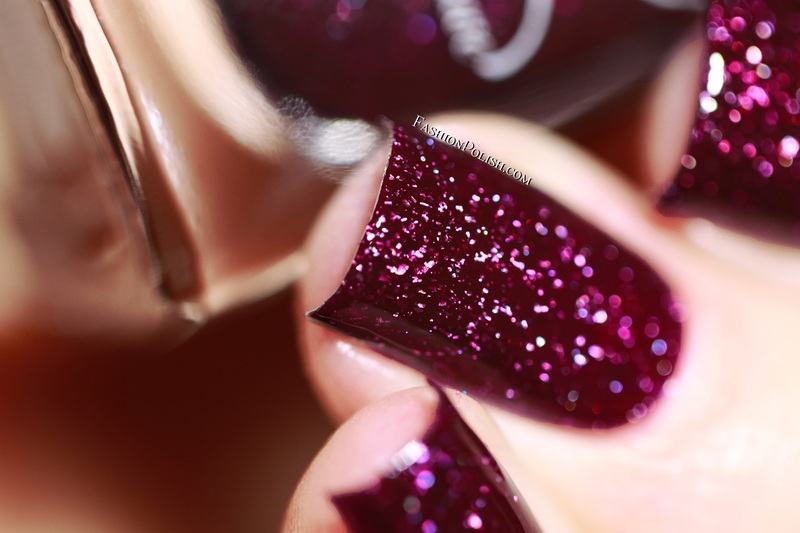 It's super smooth and applies like a dream in just one coat! I used 1 careful coat in my swatches below. 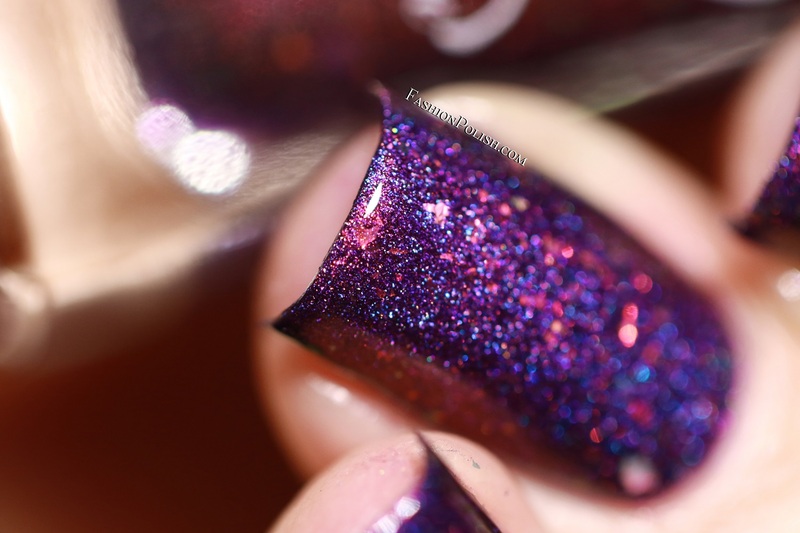 Topaz Fire is a deep blurple linear holo. 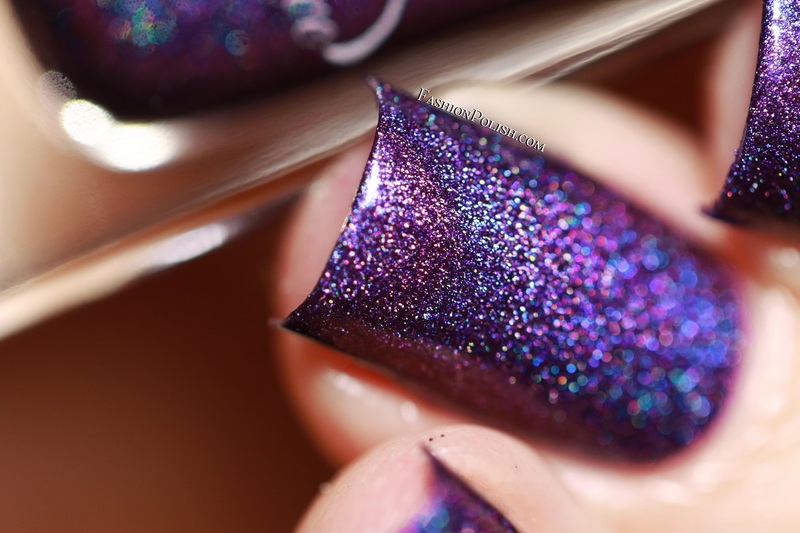 Another butter smooth holo with incredible opacity. I also used 1 careful coat in my swatches. Layer Cake is a sheer violet jelly topper with copper/red to green flakies. It can be used on its own with 3 to 4 thin coats but I decided to layer it over Topaz Fire. Shown here: 2 coats plus topcoat. Mean Mr. Grinch is a deep blackened copper multichrome with an intense green shimmer that shifts from deep green to copper to black. My perfect shade of green! I also love the added holo particles. I used 2 easy coats plus topcoat. 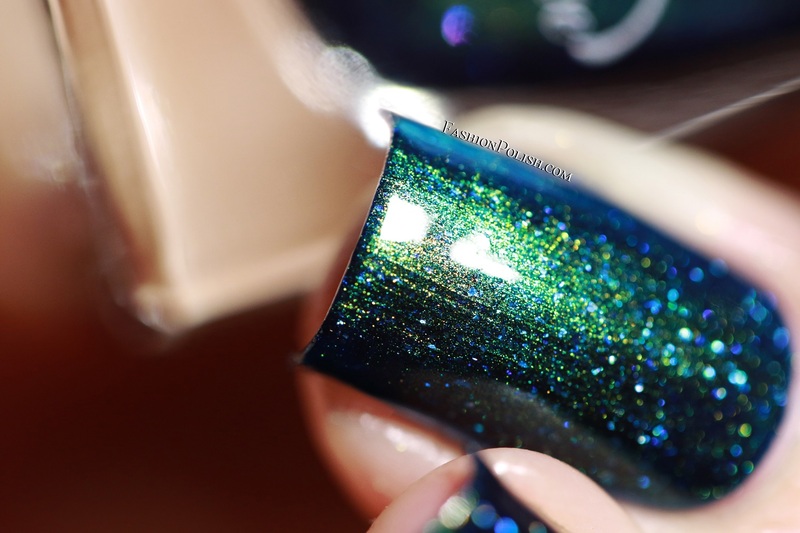 Parade of Lights is a deep navy multichrome with scattered holo flecks that shifts from deep navy to royal blue to bright green. Glossy and super shifty, I really love this one too! Again, 2 easy coats plus topcoat shown below. 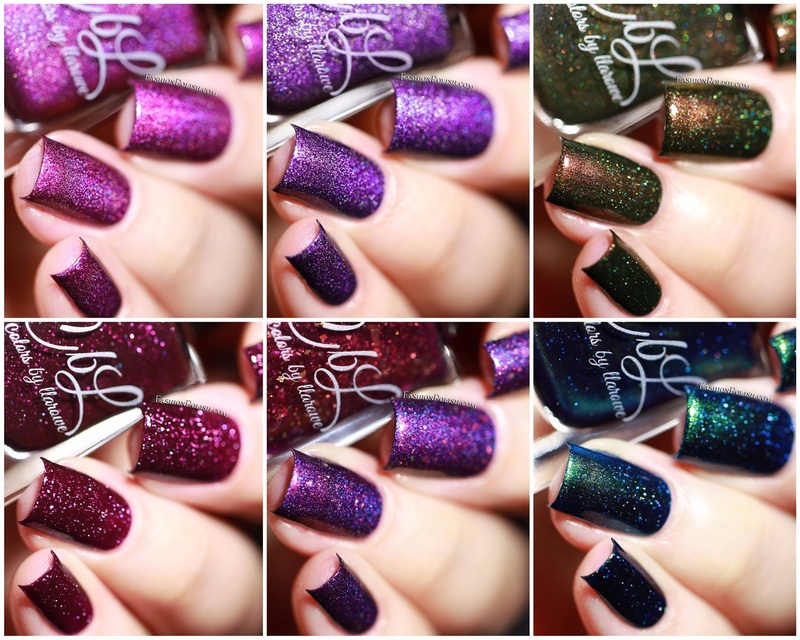 The Colors by Larowe winter 2017 collection is currently available for preorder - along with Fall Y'all, the November 2017 Polish of the Month - on llarowe.com. Individual shades retail for $11 but you can purchase the entire collection for $63.